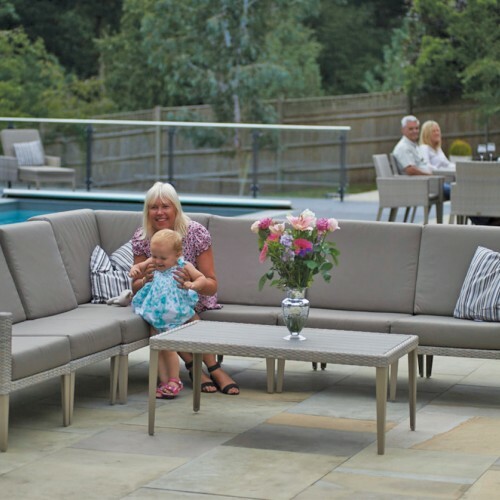 Evesham modular furniture is amongst the finest outdoor furniture that can be purchased anywhere in the world. 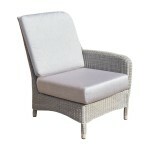 It is opulent and luxurious and the individual pieces can be configured exactly to suit space and requirements. 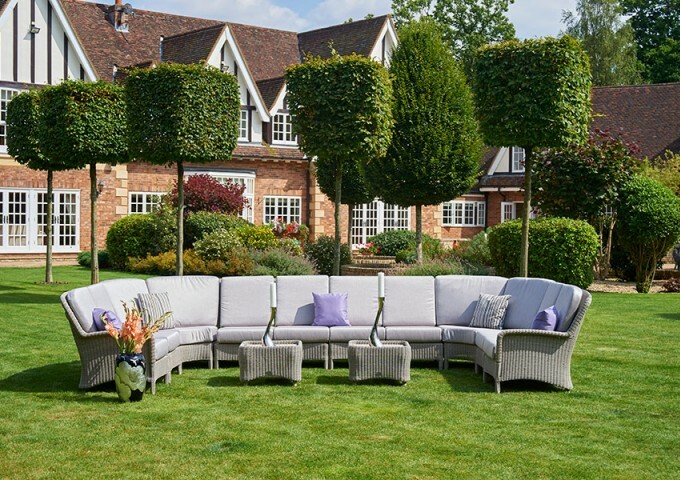 All the pieces have been designed with a high back, which combined with generous seat and back cushions, make the furniture an absolute joy to own and use. 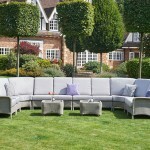 The pieces included in this Evesham Modular set are - one LH end, one RH end, six centres, two corners and two side tables. 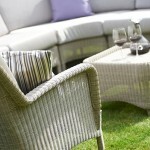 All the furniture is supplied complete with high quality waterproof acrylic cushions in a lovely platinum colour. 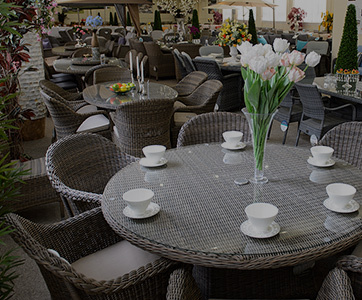 All the tables come complete with safety glass. 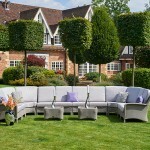 Each modular unit is simply secured to the next with stainless steel clips. 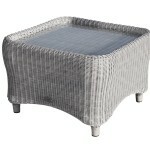 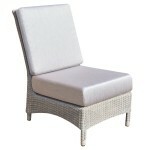 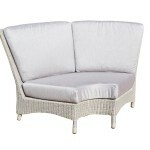 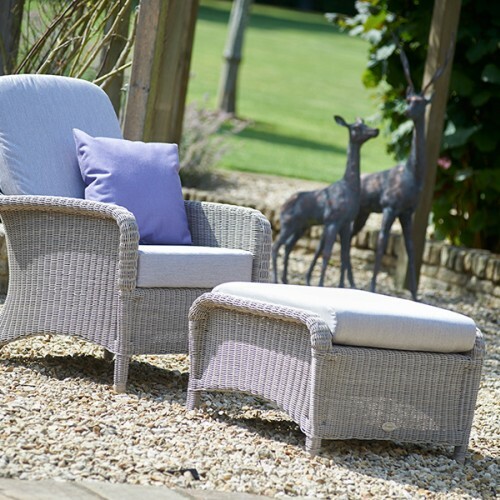 Optional scatter cushions can be added to really finish off this gorgeous range.  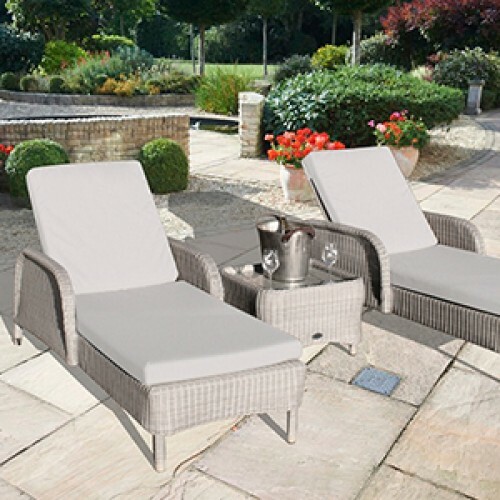 The set as shown in the main picture will need a minimum area of 480cm x 248cm. 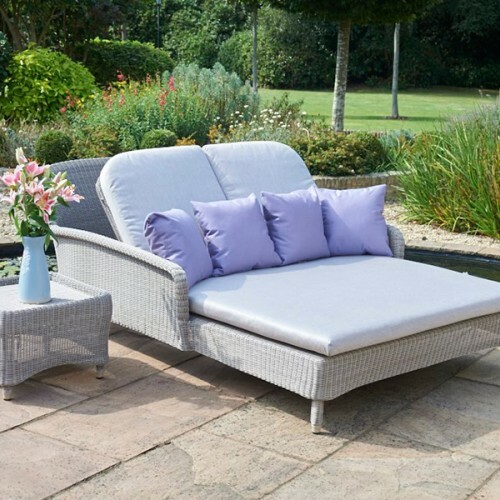 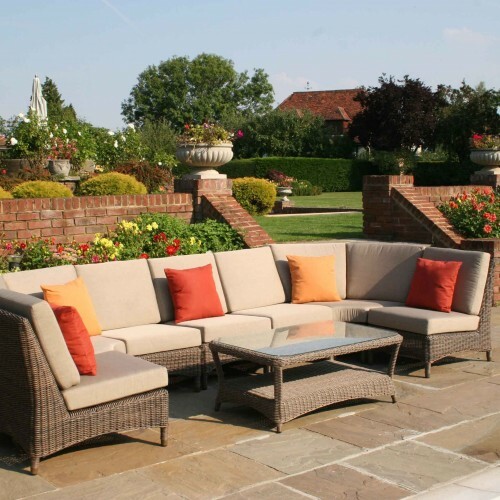 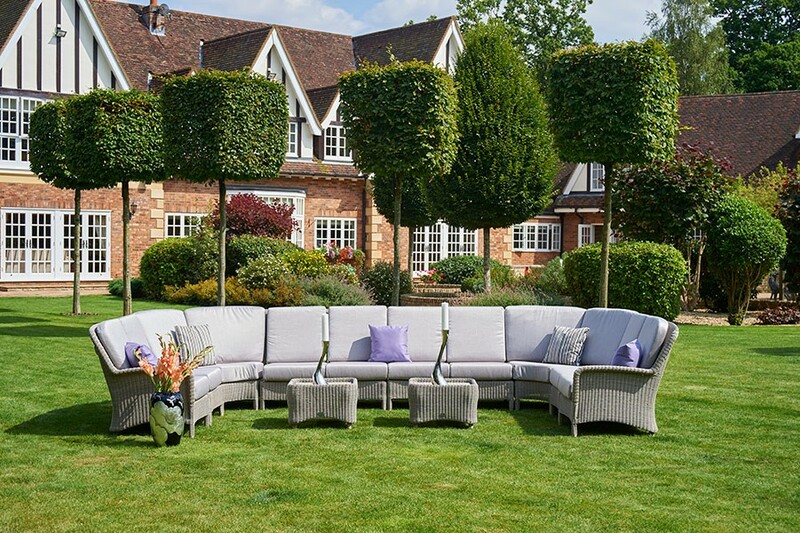 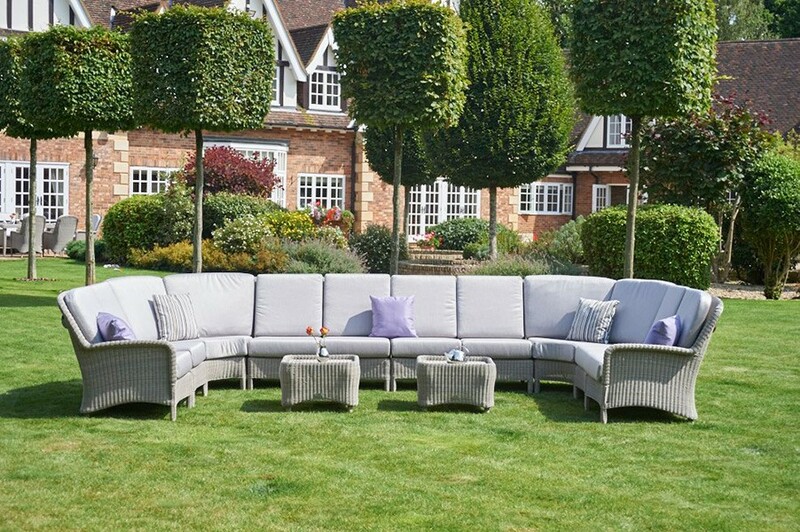 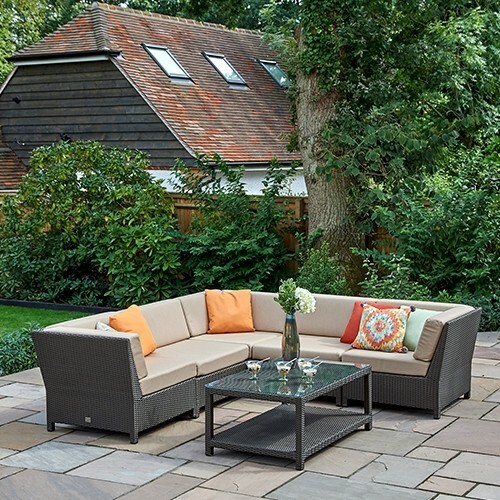 The furniture features Bridgman's exclusive fully waterproof cushions.conveniently meaning that the furniture and cushions can stay outside in all weathers. 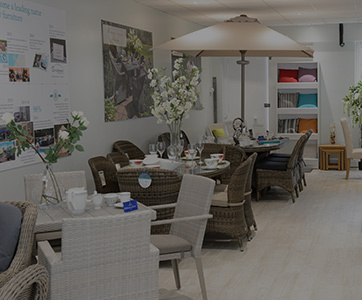 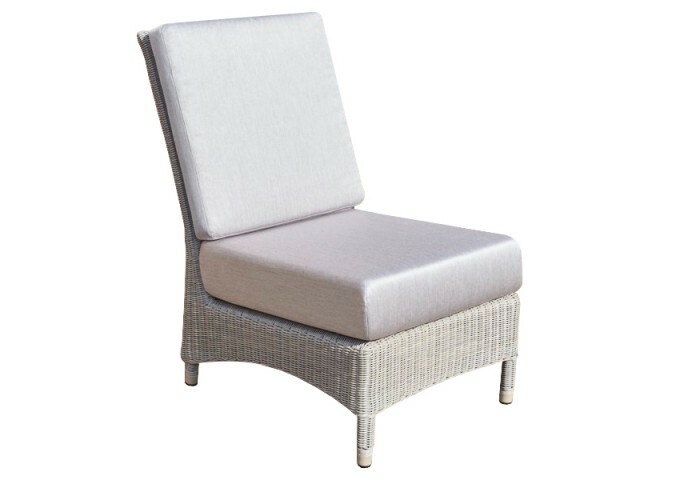 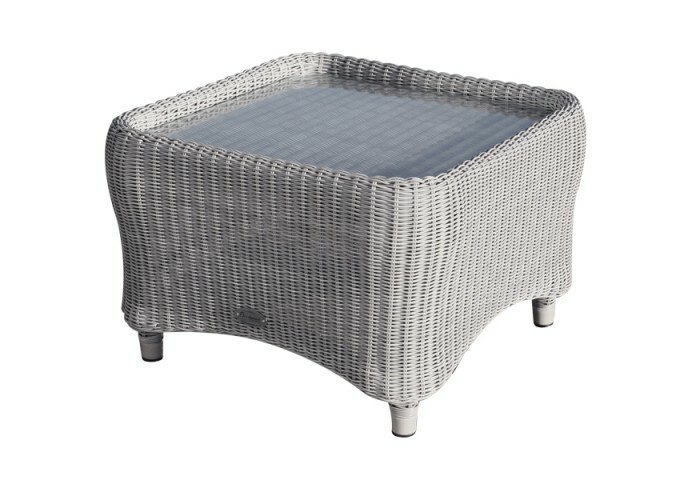 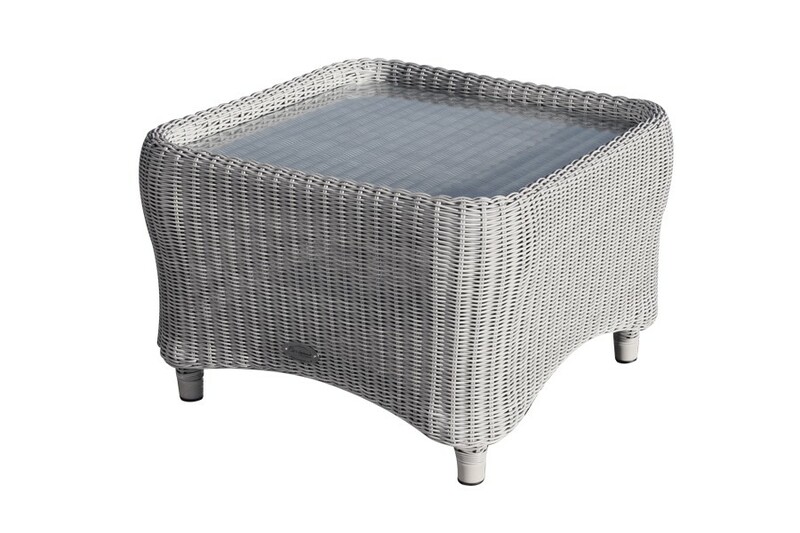 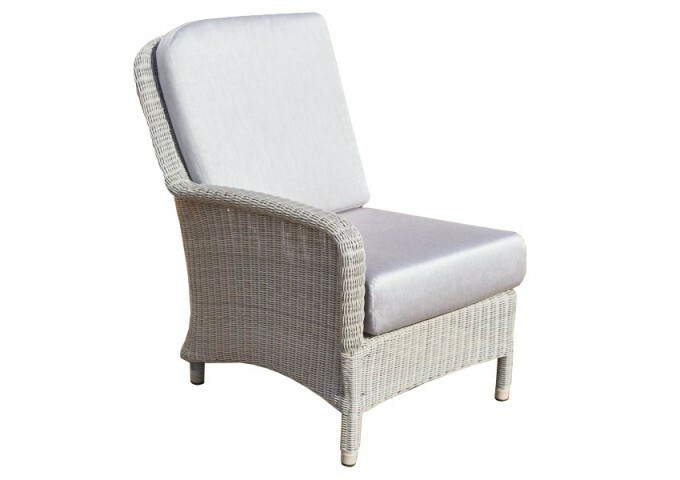 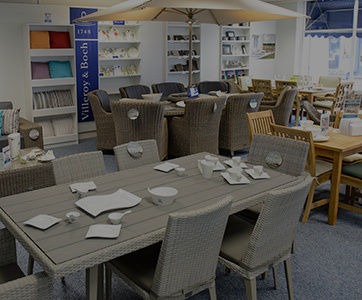 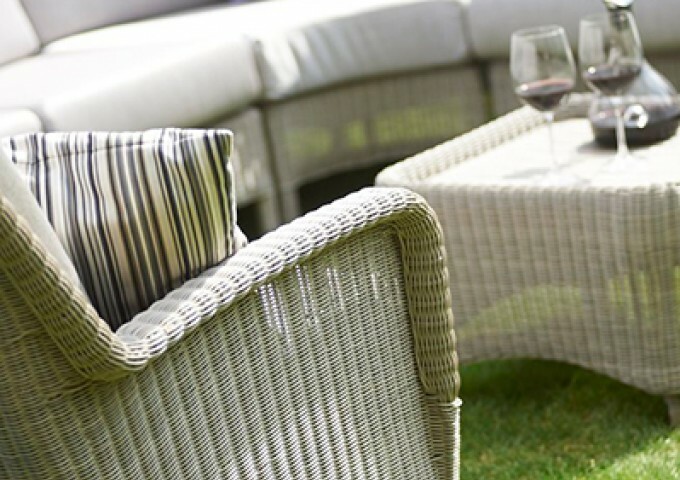 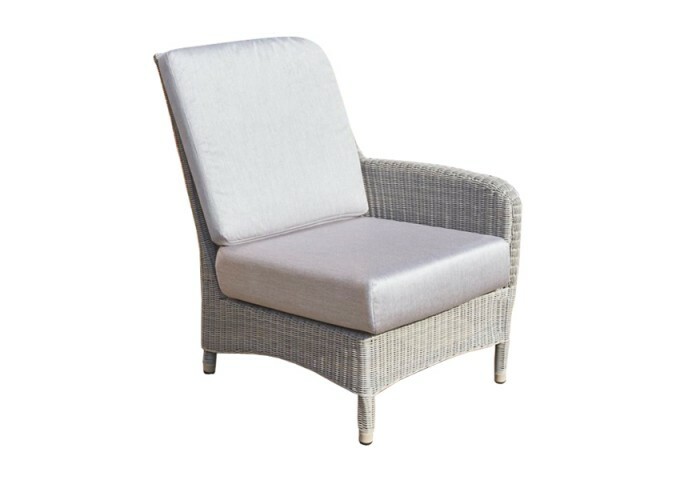 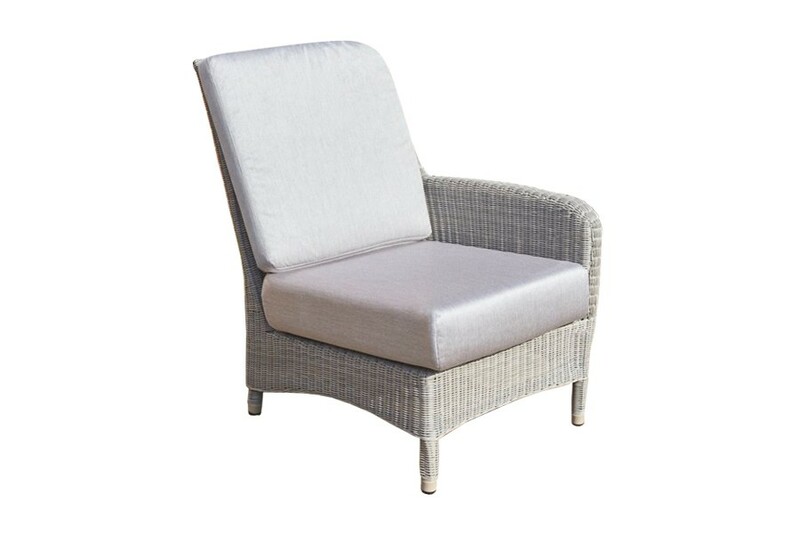 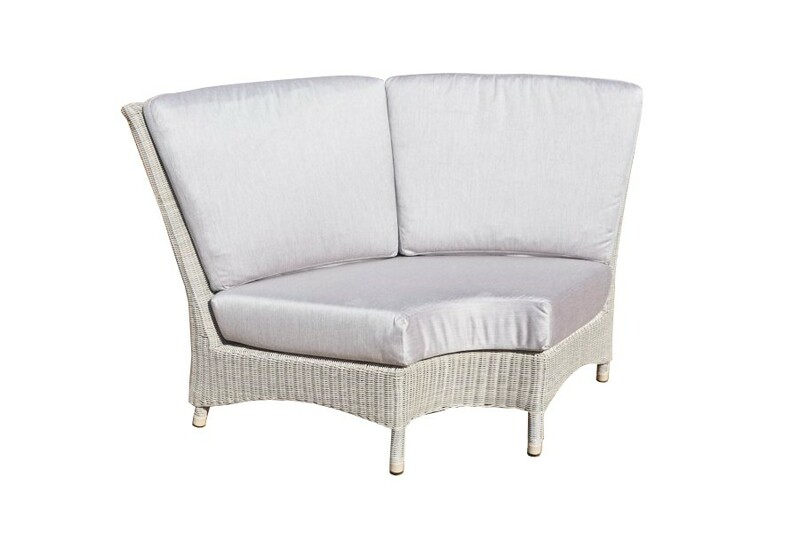 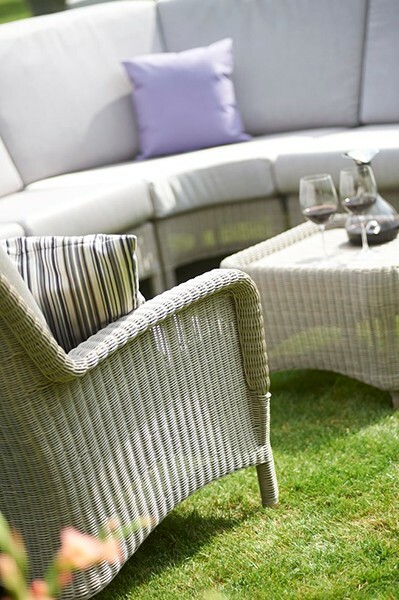 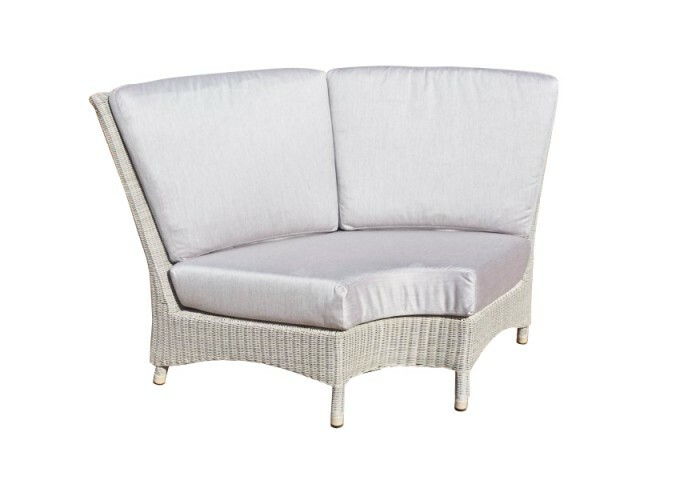 The furniture is manufactured to the highest standards using the best synthetic rattan material over aluminium frames, making it robust for outdoor or indoor use. 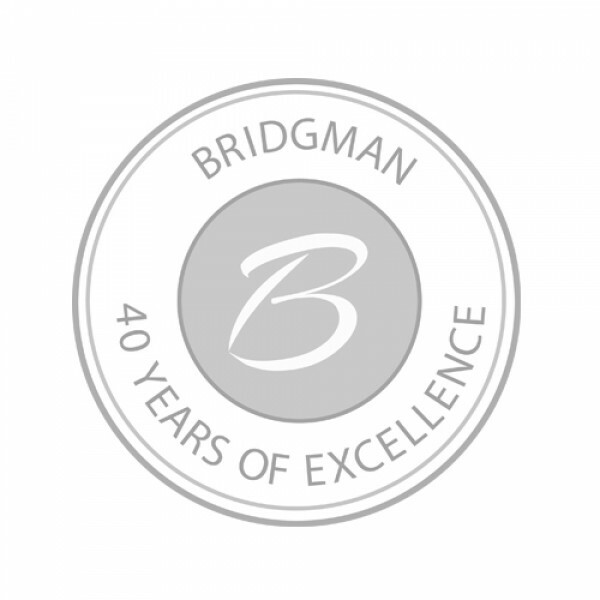 Bridgman All Seasons furniture has been formally tested to withstand temperatures ranging from -70°C - +80°C and is highly resistant to all weather conditions, so it is perfect for outdoor use and requires no maintenance. 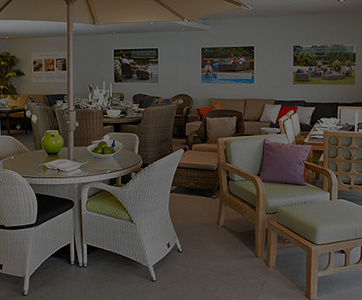 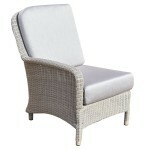 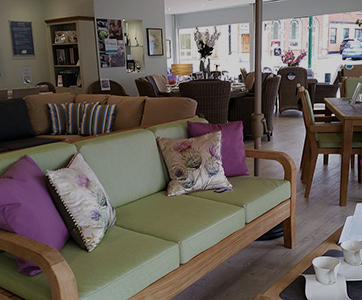 Matching dining and lounging furniture is part of the Evesham range too.